Every part of our country is under threat by this President and Congress. 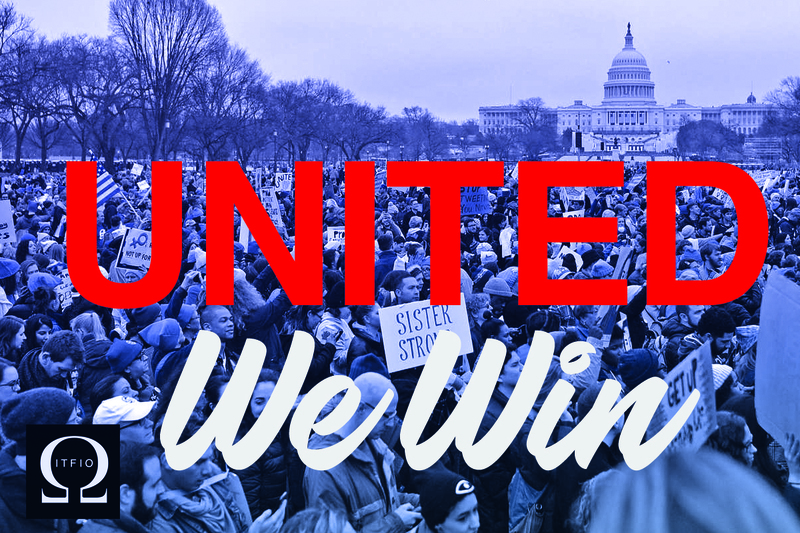 The only way to win is by standing together, indivisible. Indivisible the Fight is On is one of 6,000 grassroots Indivisible groups across the country taking action to resist the Trump Administration, replace #NoShowFaso and elect like-minded leaders. ITFIO is a grassroots organization dedicated to resisting authoritarianism and regressive political policy. Our mission is to provide coordination, guidance, and support for activists and (D) candidates in Dutchess County, including local Indivisible chapters. We aim to increase local participation in voting by communicating important issues through social media, peaceful protest & civil action, as well as town halls, forums, training, etc. We value justice, diversity, openness, tolerance, compassion, and accountability to our community. We believe we all, as voters, are as responsible as our politicians are when it comes to taking the moral high ground and we strive to do our best, always. ITFIO is completely volunteer run. Your donation will support the direct costs of our organizing in Dutchess County, District 19 -- things like video production and distribution, website development, canvassing materials, candidate forums/events, Socials, posters, art supplies, clipboards, transportation, stuff like that and more! Contribute today to Indivisible the Fight is On.